This is a distinct and separate championship from the UWA World Light Heavyweight Championship, but the two titles are occasionally confused with each other on lineups. 10 Anibal  Invader III 1984.??.?? ? Championship history becomes confusing conflicting after Heavy Metal wins this championship. 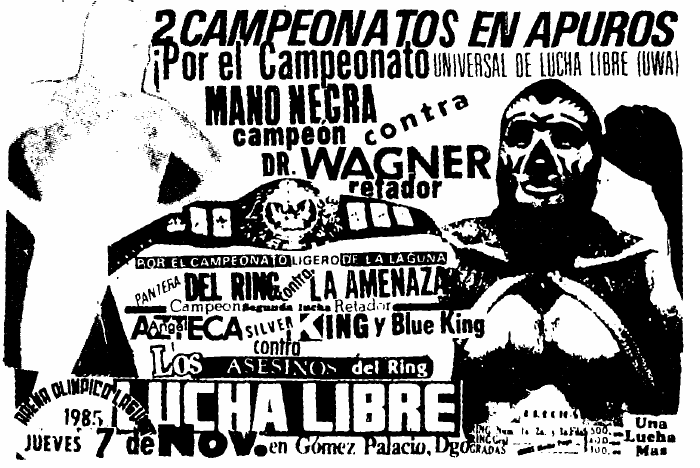 The UWA ceased to exist by 1996, but was still well known enough for various wrestlers to purchase belts (originals or copies) and declare themselves champions. Championship reigns past this point are extremely dubious. 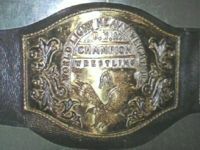 The original belt may have been passed on to Silver Star, who defends a title as UWA World Light Heavyweight Championship. 37 Silver King ? 2006.??.?? ? 39 Histeria ? ????.??.?? ? 37 Operativo 209 ? ????.??.?? ? This page was last edited on 15 March 2019, at 21:01.